On Sunday, January 17th, Jeremy Palmer and I presented Video: Biggest Affiliate Marketing Opportunity Since Google at Affiliate Summit West 2010. As much as I'd like to share the full presentation with you, I can't as per my Affiliate Summit speaker agreement. What I CAN do however is share a summary of what I think are the most important points, a few statistics and why you need to include video marketing as part of your online marketing strategy asap. 3.8 billion searches are conducted through YouTube each month according to Comscore. U.S. residents watch more than 30 billion videos each month. 81% of the total US Internet audience watched online video. The numbers above should convince you that there is a huge market out there looking to online videos for information. When I checked Google Analytics the morning of our presentation, I saw that of the 892 referring sites that sent traffic to this site, YouTube was in the 7th spot — and only after my direct traffic from my own sites. In other words, YouTube was my primary source of direct traffic. Those visitors stayed an average of 7 minutes 43 seconds on the site, visiting 8.54 pages. The only better retention rates were through visits from RosalindGardner.com, presumably because those folks already know of my work. Too, the percentage of new visitors from YouTube was about 20% higher than from my own sites. What all that means in a nutshell, is that by using video, you engage and build trust with an audience which inspires them to visit your site, i.e. increased traffic. Building that trust also results in longer site visits for which Google rewards you with higher rankings. Longer stays means more exposure to product and thus higher conversions. I've found video marketing to be very simple. 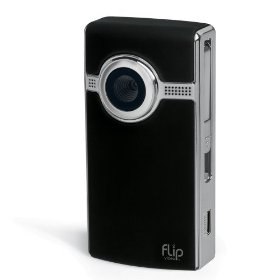 All I use is a Flip video camcorder, a tiny tripod and Camtasia Studio to edit and produce my videos before uploading them to YouTube and other video upload sites. BTW, the biggest mistake that I see people making when they upload their videos to YouTube is that they don't link back to their blogs from the description. You gotta do that IF you want the traffic and increases conversions! Thanks so much, Rosalind, for replacing your informative ebook, Super Affiliace Handbook. During your session you mentioned the best places to host video so you don’t have to put it on your own site. Can you refresh me on that stuff. An email was sent to you relating to “Super Affiliate Handbook,” which ask for a replacement of this very eBook I purchased some time ago. I don’t have use to the eBook because my laptop just ceased working. I asked for a replacement, but I received no reply for granting my request, or denying my request. You probably have a customer file on which my name and email add. appear. There’s my proof I indeed did purchase your book. I’d like to know whether you’ll extend kindness to me, or not. Of course, it’s not your fault my laptop crashed. I’m merely seeking an avenue to reach your giving side. I could not agree more with your above article. It is really the one of major keys to marketing success. But I am having a problem with finding a honest and step-by-step guide to the whole process. I am not saying that there are not a lot to choose from, but which one that will not leave you with missing pieces in order to sell somthing else or upsell. Of course this makes since to the marketer, but I know that is why I have not been able to get it going, or it could be an excuse, but I really do not think so?? Is there any advise for what I am looking for? Rosalind – I was looking for something new to try and I had no idea video marketing is so popular. You site is always good for a great idea or two. Thank you.